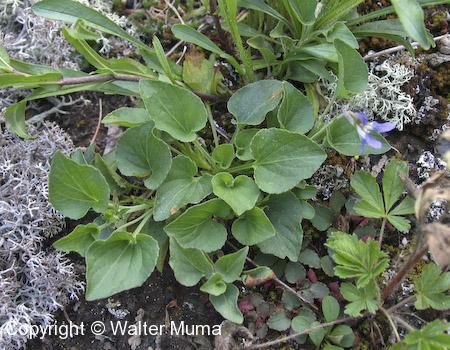  Long-spurred Violet (Viola rostrata) - Spur is very long.  Dog Violet (Viola conspersa) - SPur is stout and shorter; grows in damp habitat. Photographs: 58 photographs available, of which 4 are featured on this page. SCROLL DOWN FOR PHOTOGRAPHS. Anoterh flower photo. 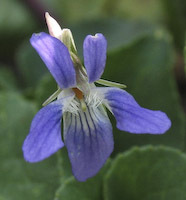 Note the spur, which is longer than that of Dog Violet (Viola conspersa) but shorter than that of Long-spurred Violet (Viola rostrata). Sand Violet flower. It is a deeper violet than that of Dog Violet (Viola conspersa). A whole plant. 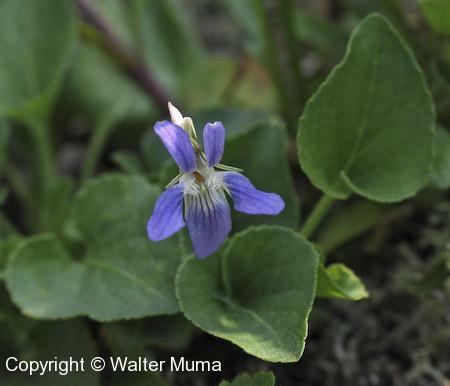 This violet grows in sandy habitat, hence its common name. Base of plant and stem.